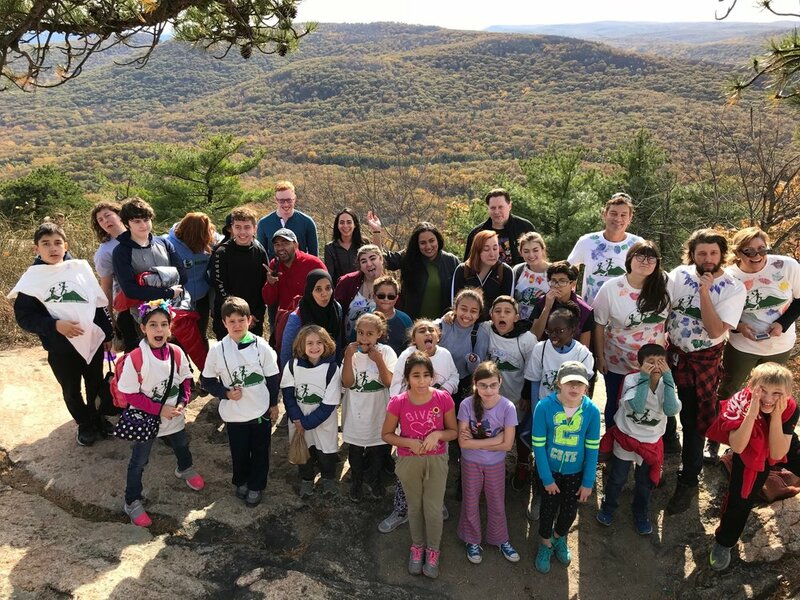 Bear Mountain — Matthew Potel Foundation, Inc.
What a great day we had at Bear Mountain last month! A wonderful turn out of 17 kids, lots of outdoor mentors and a gorgeous day. 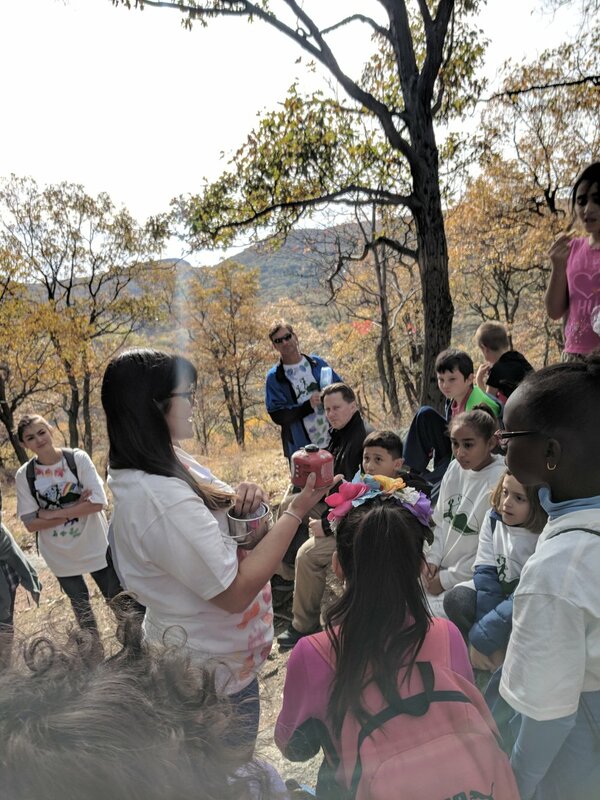 The kids astounded us and hiked the full 4 miles to the top of Bear Mountain on the Appalachian Trail. Paulina went on her first hike ever! Lalia learned how to tie a bowline, figure 8, and square knot, and Brendan leaf printed a work of art T-shirt! Not only that, but the kids got to see fossils and cool new rocks up close and learned how to build and disassemble a tent!